Immerse yourself in the local island culture this Easter. 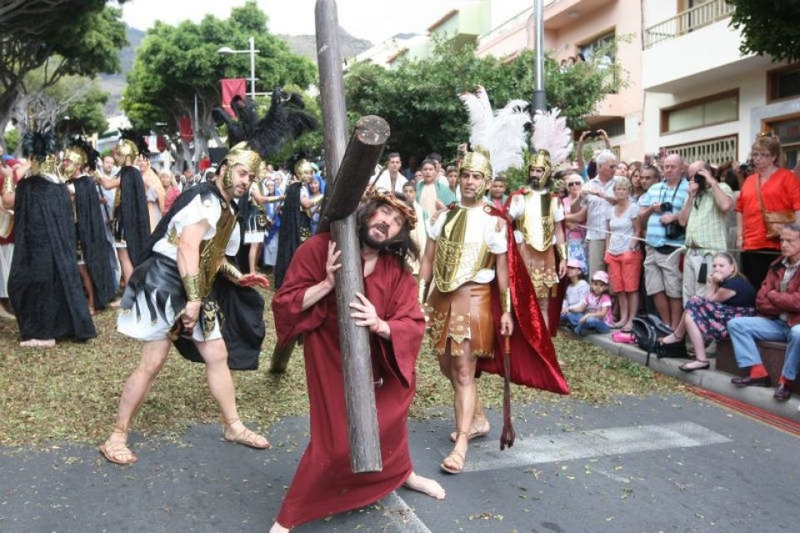 Easter celebrations in Tenerife are a solemn yet illustrious display of the island’s cultural and religious heritage; a world away from the chocolate egg hunts we may fondly remember. Forget the Easter Bunny as you prepare to be immersed in a world of grizzly re-enactments, eerie masked men and elaborate processions. The most important ceremonies during Semana Santa (Holy Week) in Tenerife are in the towns of La Laguna, Guimar, La Orotava and Adeje. 1. Those of you staying in the holiday resorts of down the south have but a few kilometres to travel to the historic old town of Adeje for the Passion of Christ. 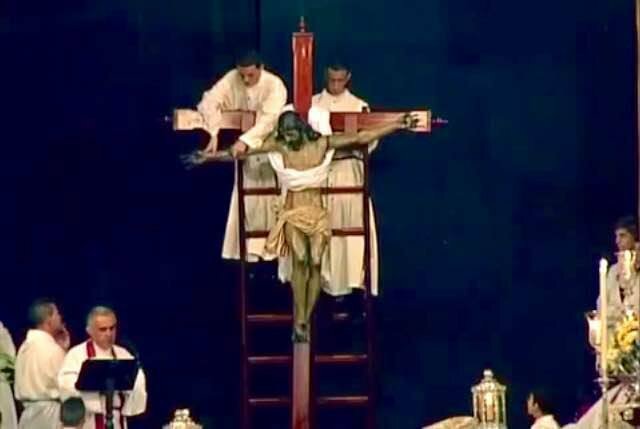 It is here on Good Friday, 19th April 2019, that the town hosts a spectacular two-hour action replay of Christ’s last hours and his crucifixion. Hundreds of local residents join in the fun, dressing up as biblical characters and getting immersed in the role-play. 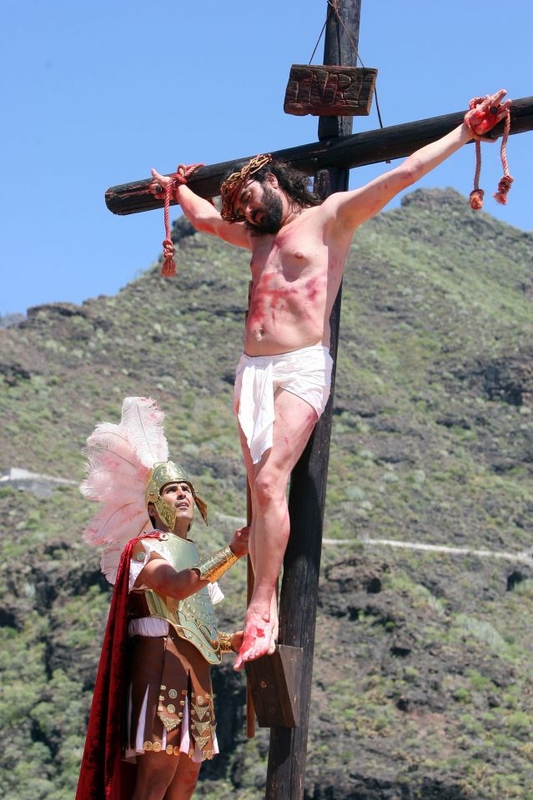 This is a family-friendly event and children are also cast in the depiction, although some of the scenes, such as the crucifixion are renowned for being fairly bloody and graphic. 2. 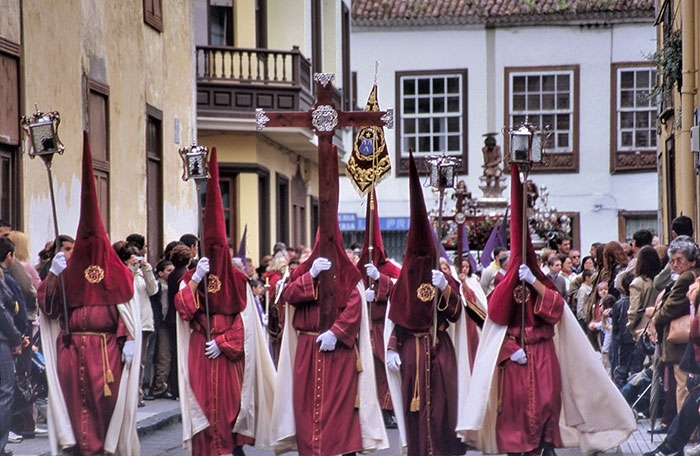 Another big one is the Magna Procession in La Laguna on the same day at 5pm, made up of solemn brotherhoods dressed in different coloured Klu Klux Clan reminiscent robes and carrying large crosses. 3. A few hours later at 10pm is the Silent Procession from the Cathedral of La Laguna; an eerily moving event where the street lights are extinguished and the only lights come from candles held by members of the silent march. 4. Guimar is also considered to host some of the most impressive religious ceremonies in Tenerife during holy week, not least because of their elaborate images of religious figures which are carried by bearers during the processions. 5. 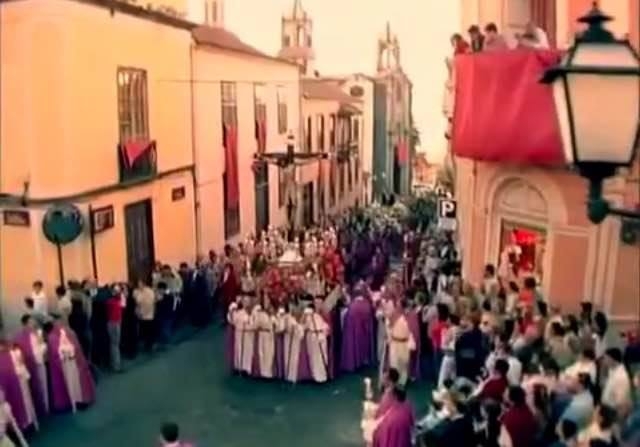 La Orotava, considered as having one of the island’s most beautiful and historically rich old towns, also holds a similar array of processions during the week, culminating on Friday the 19th at 5pm with a dramatic re-enactment of the ‘Holy Funeral of Christ’ at 6.30pm in the Iglesia de San Juan. 6. 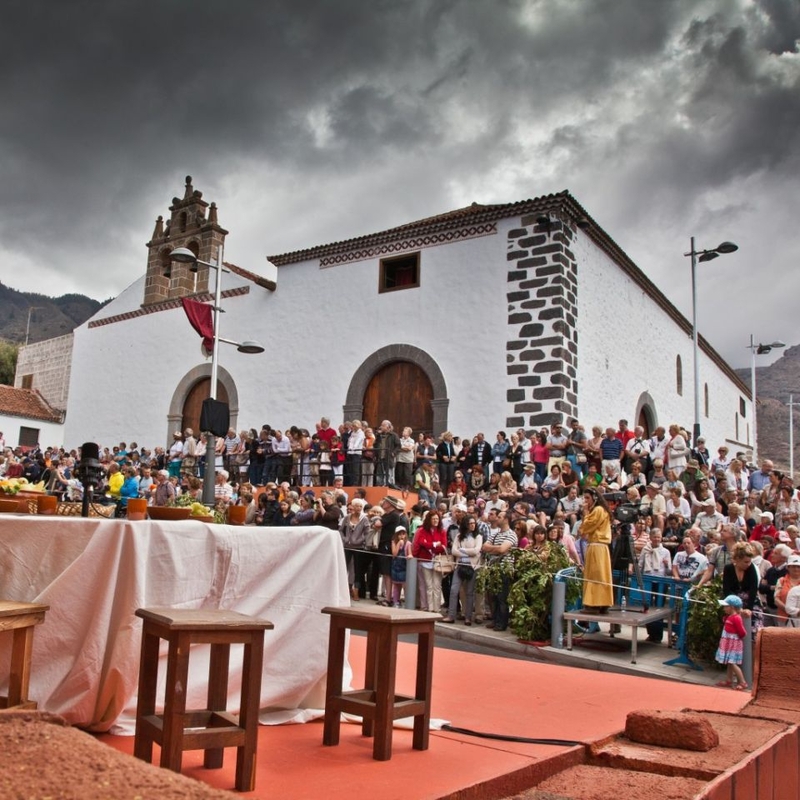 Last, but not least is the Guía de Isora Pascua Florida or ‘Floral Easter’; a unique and quirky Easter event on the island, which is attracting more and more visitors every year. The town's streets are filled with hand-crafted floral displays that represent and depict Christ's journey through Jerusalem to his crucifixion. 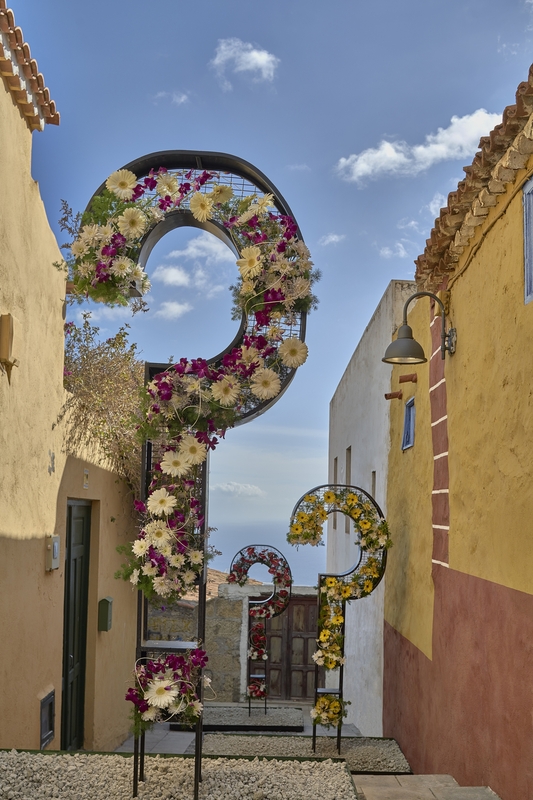 The Easter Floral Festival in Guia de Isora will take place in the old historic town centre between Maundy Thursday, 18th April, and Easter Sunday, 21st April. The council have also announced some welcome new additions to this year’s programme. On Thursday afternoon at 5pm there will be a musical performance from the Cantabile Ensemble and on Friday at 12pm and again at 3.30pm there will be a street show with opera, dance and poetry by the Burka theatre company. For those of you who are more into clubs than crosses, then there are also many Easter parties in Tenerife to be had including the I Love Music Festival in Costa Adeje Golf and the Old School Party in Tramps on Good Friday.